The current admins of this forum are Anthony, Rob Seegel and Semi-Native. Most of us have been around MM since the beginning and when Vern started the third MM forum in late 2006, brell and Freddy agreed to administer it for him. Since then we have added a few more admins. We are all experienced MM players, builders and testers. We are doing all this in our spare time, including the admin work, so please bear this in mind if we are unable to respond instantly to a request. Sometimes one or all of us may be absent for a while, which will be announced on this board. 1. General maintenance of the forum. 2. Upgrading "Newbies" to "Lost ones" so they can post. 3. Uploading approved custom mansions (CM's). 4. Unfortunately sometimes deleting fake members and inappropriate posts. Our admin work is NOT to test custom mansions or to help builders via e-mail or PM's. Builders are advised to ask for testers and building help on the forum. Good places are the Talk board, the Custom mansions / art board and the Custom mansions / designing board. This does not mean that we will never test a mansion. It only means that builders should ask for testers on the forum, not by e-mailing the admins. Our admin work is also NOT to help players solve mansion playing problems via e-mail. Please refrain from sending us or the mansion builders e-mails with helping requests. All such requests should be posted at appropriate boards here at the forums, where everyone can see them and perhaps provide the help needed. 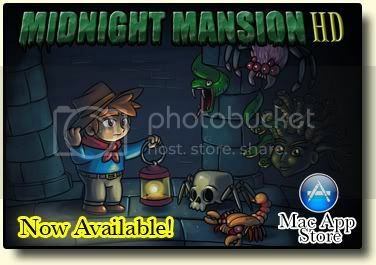 We strongly encourage all mansion issues and/or suggestions to be posted to either the specific mansion board for custom mansions, or to the Included Mansions board for the appropriate Midnight Mansion game. When posting, please try to provide the mansion name and level and any other info, or reuse an existing thread for that mansion and level. If you make an attempt here, no one's going to fault you for it (though Admins may relabel or move a post if appropriate).